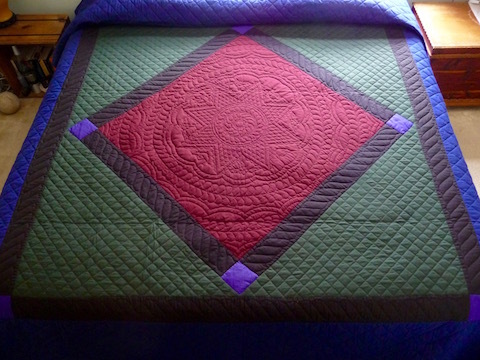 Amish Quilts Are Art – You Bet! As subscribers to Antiques and the Arts Weekly, we were happy and more than a little surprised to see a Baltimore Album Quilt at the top of the front page as part of the article “Reassessing the Revival.” Growing up in a family of quilters, we have always considered textiles – in particular quilts – to be art. Not crafts, but real art. The article references interesting textile shows and books that all bring to mind the question: why aren’t quilt makers and textile designers taken more seriously? Could it be that the makers of this art are primarily women? Is it because this art form is practical and usable? Or possibly the “make do” characteristic of some quilts (think of quilts made of left overs, dress fabrics, etc.)? We clearly are not the only ones considering this question. Every few years there is a new show, another article, a new book that discusses the artistic value of quilts. 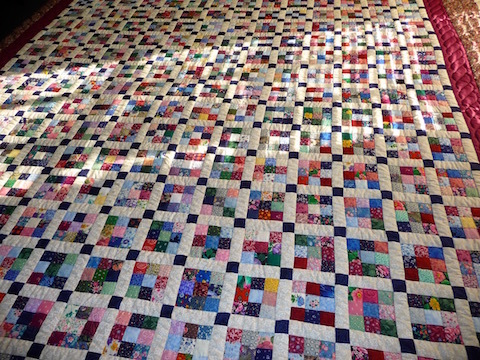 Many of the Amish Quilts we sell are of traditional patterns. They are treasured old quilt patterns that are handed down from generation to generation. We are always surprised to see, in these very old patterns, reflections of truly contemporary art. Below are two images: a close up of our 9 Patch Postage Stamp and a typical Mondrian image. 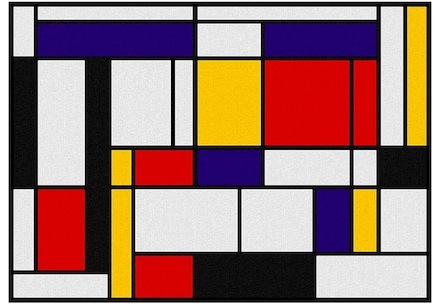 You can view additional images of Piet Mondrian’s work via this Artsy link. We see so many quilts in his work! What do you think?? 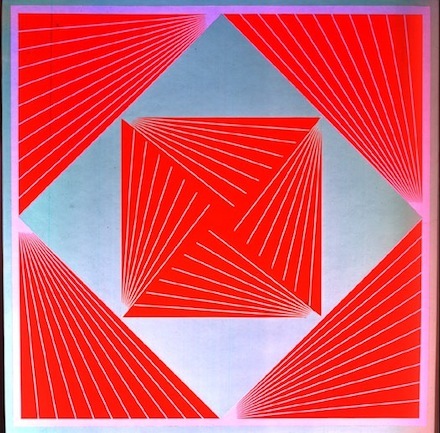 Here’s another uncanny similarity – Op Artist Richard Anuszkiewicz‘s “Intrinsic Harmony” and one of the most traditional and recognizable Amish quilt patterns, the Red Center Diamond. The next time you consider or purchase a handmade quilt keep in mind that you’re picking up more than a quilt, a blanket, a comforter – you’re acquiring art.